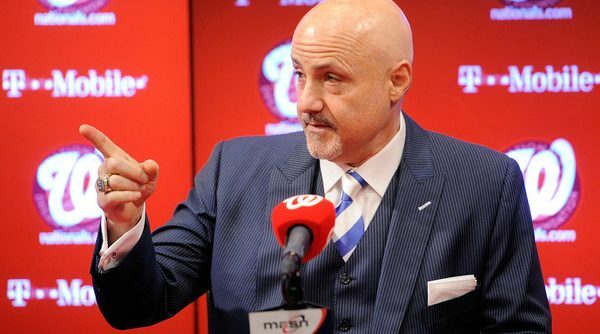 This trade season has been an active one for Mike Rizzo, who acquired a total of four players in an attempt to fix the much-maligned bullpen and add to the teams dubious position player depth. As the dust settled Monday afternoon, the Nationals were left with a transformed bullpen and a bolstered outfield with the additions of Sean Doolittle, Ryan Madson, Brandon Kintzler, and Howie Kendrick. Despite the flurry of additions, the Nationals still have a number of questions looming over them as the postseason slowly approaches. Stephen Strasburg’s elbow health is of the utmost importance, the bullpen still has a number of question marks, and the infield depth remains precariously thin. Luckily for the Nationals, trades are still possible until the end of the month so they can still add to the roster if they feel it necessary. 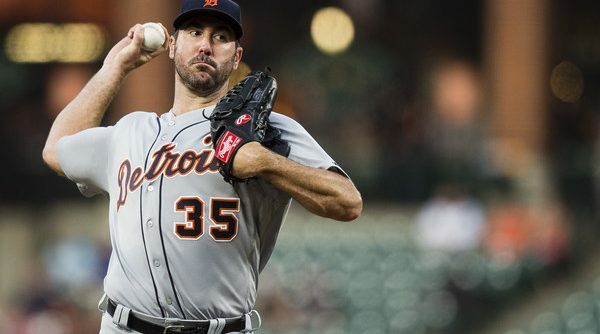 Because players traded in August have to pass through revocable waivers, many of the seemingly available players all have performance or salary issues. 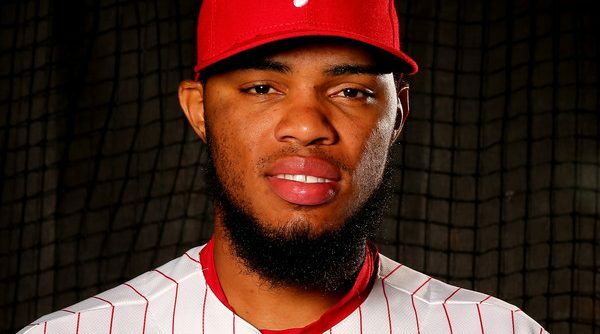 Should they decide to take a risk, whether out of competitiveness or desperation, there are still valuable players that the Nationals could look to acquire this August. Let’s take a look at some of these players. In a much-anticipated move, superstar prospect Victor Robles was promoted to Double-A Harrisburg Monday night, making him the youngest player in the Eastern League even before fellow top prospect Rafael Devers was promoted to Triple-A. 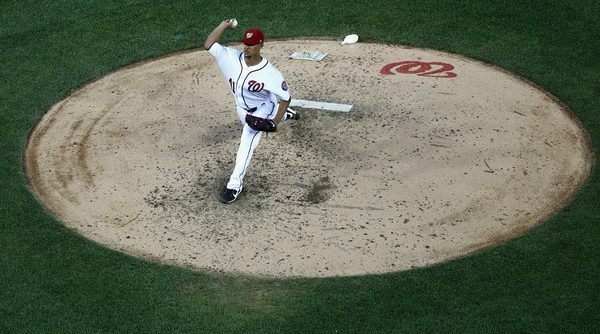 Robles promotion resulted in a flurry of theories (and finger pointing emojis) among Nats fans, mainly regarding Robles’ status as a trade chip. Earlier in the week, fellow top outfield prospect Andrew Stevenson received the call to the big leagues following a Chris Heisey injury and Ryan Raburn going on the bereavement list. There weren’t many, but some were calling for Robles to get the promotion in place of Stevenson. While an immediate Robles call-up would be premature, his promotion to AA makes the idea slightly less farfetched. With the calls for Robles’ promotion this weekend, I got thinking: What would a Robles call-up in 2017 look like? With the All-Star break a week behind us we’ve entered the dog days of summer, and the second half of the baseball season is in full swing. Most minor leagues are already well into their latter halves, but the beginning of the major league second half is nonetheless extremely significant for therm. The trade deadline is fast approaching, and the number one commodity moved at the deadline is of course prospects. 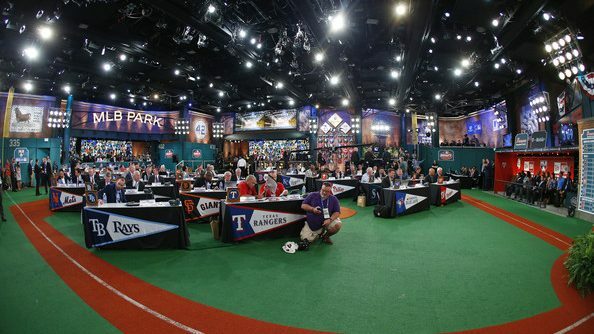 Additionally teams will typically promote prospects around the time of the All-Star break, and when you consider September call-ups, minor leaguers are always a couple of phone calls away from a life-changing event. For an organization with as many major league needs and impact prospects as the Nationals the second half is especially uncertain; and so with that said I hope to give you a picture of what to look for and expect out of the Nationals farm over the course of the second half. It’s no secret that the Hagerstown Suns are among the most talented teams in minor league baseball. 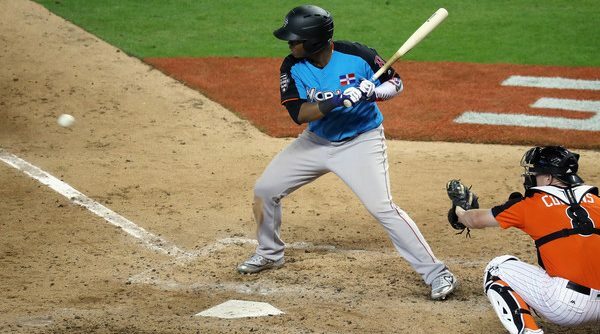 Led by their prospect-studded offense, the Nationals’ Single-A affiliate has jumped out to a South Atlantic League leading 46-34 record, producing a league-high 7 All-Stars. Among those All-stars was Fort Worth native and former Oklahoma Sooner Sheldon Neuse. It’s hard to stand out on a star powered team like the Suns, and Neuse found himself quickly overshadowed by his teammates following a slow April. However following his disappointing start, the third baseman has been able to make adjustments and put together a solid season on both sides of the ball that has caught attention across the league. Folks, it’s that time of year again. The sun is shining, the birds are chirping, and I’m getting a sunburn every time I step outside; summer is (almost) officially here. 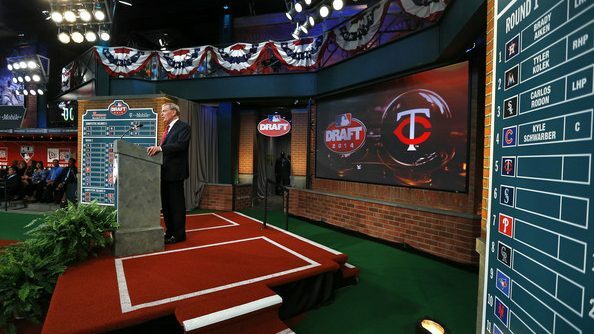 Of course with the beginning of summer comes the beginning of short-season baseball, the obscure and sometimes mysterious proving ground for draftees and international signings alike. Modest baseball fields from Missoula to West Palm Beach are firing up their lights for the first times all season, ready to watch young men take their first steps towards their major league dreams or fight to keep that dream a reality. Alright that’s enough of me trying to sound poetic about short-season baseball; the low minors are fun, they’re weird, and most importantly they give many fans a chance to see their team’s newly drafted players and international free agents for the very first time. 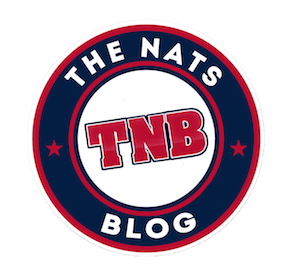 For the Nationals, several high-upside prospects are set to make their much anticipated professional debuts after the Nats splurged on international prospects last summer. 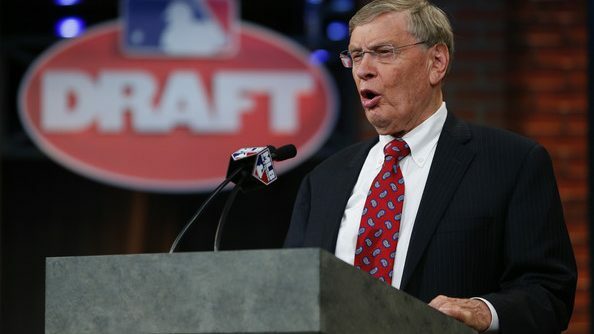 When you add in the incoming draft class, Nats fans will have plenty to watch for between Auburn, West Palm Beach, and Boca Chica this summer. 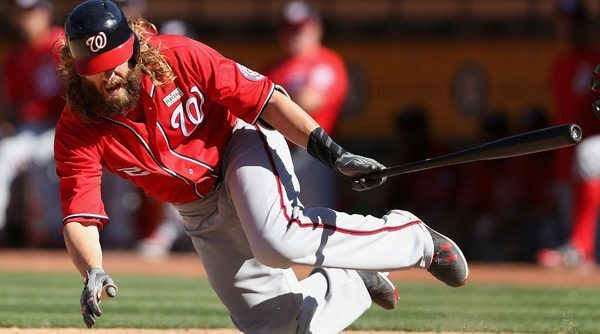 Continue Reading How Much Offensive Depth Do the Nationals Have? If you’re reading this you already know that the Nationals bullpen has been bad; like really bad. Despite the the offense leading the MLB in nearly every major category, the bullpen (or lack thereof) has been the defining storyline of the Nationals 2017 season so far. I’m not going to beat a dead horse: We all know that the bullpen has been holding back what appears to be an all-time great Nationals offense and will continue to be a major issue as the season progresses. Finally, on Tuesday night, the front office took a drastic step towards fixing this problem; transitioning Erick Fedde, the organization’s top pitching prospect, out of the rotation and into a relief role. 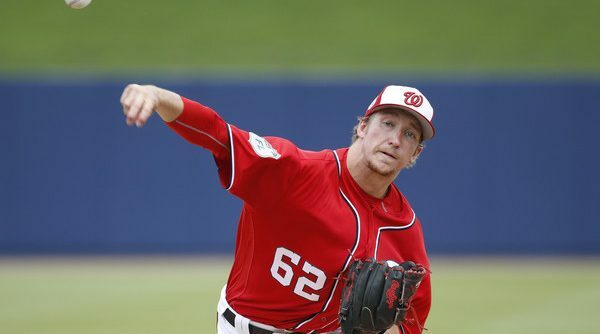 Continue Reading Erick Fedde, Relief Pitcher? In an effort to keep up with their parent club, the Hagerstown Suns of the Low-A South Atlantic League have gotten off to a blistering start; going 19-12 through 31 games on the back of their high powered-offense. One of the driving forces behind Hagerstown’s success has been Dominican outfielder Juan Soto, who has caught the eye of scouts across the baseball world. The young outfielder has recently made his way onto national top 100 prospect lists, and despite his distance from the majors, could very well be the best hitter in the Nationals farm system.